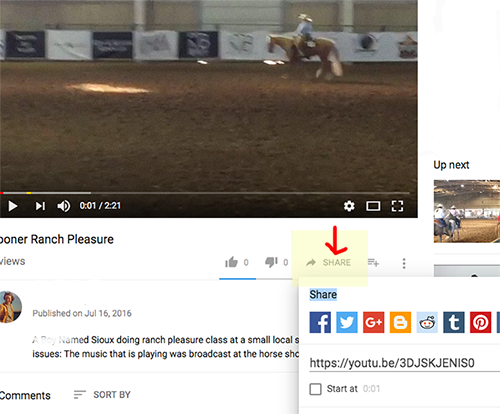 Login to your DreamHorse account and click the SEND VIDEO button (shown below) to send us this LINK. You can also email this link directly to photos@dreamhorse.com but be sure to include your Horse ID in the email. Also, please be sure you included the video option on your Order. If you missed that step, you can always add a video at any time by ordering the Add Video Only option for $10.